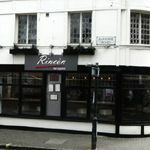 Rincon is a welcoming family run Spanish bar on Paradise Road boasting stylish furniture and a selection of traditional dishes including tapas. A range of fine Spanish wines are available from Rincon alongside Spanish inspired long drinks. Do you work at Rincon? What did you think of Rincon? 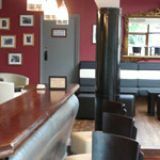 The wine menu is great and the staff are very switched on and offer great advice - having gone for about the 5th time a couple of nights ago, I asked the waiter for his choice of red wine, and what I was given was delicious and not what I would have normally have gone for. The food is very good and portion size is nice as you don't go there for a huge meal, so you can order an array, and you will still come away feeling satisfied with the amount you have eaten. Would very much recommend this place and will no doubt be there again soon. We have been there twice now and both times have enjoyed the food and the wine. The wines are very good and the owners friendly and well informed. 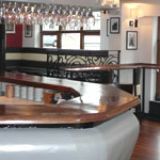 It has a very nice atmosphere and the room is stylishly furnished. The food is good and you can just have a snack or make something of a meal out of what they serve. The ice creeam with raisins soaked in Pedro Jimenez sherry is excellent. The tastiest food I’ve had in a long time! A lovely Rioja and fab service…what else do you need! Highly recommend it.